Lynton Apartments have 10 spacious apartments. 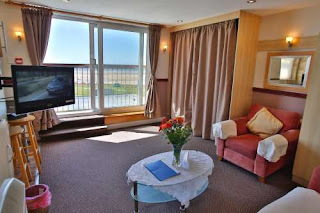 They have all been finished to a high standard and four offer sea views. The apartments are at the heart of the promenade in the major seaside town of Blackpool, Lancashire. Blackpool is a popular holiday destination for all ages. It is packed with amenities, activities and attractions. All apartments include flat screen TVs, FREE WiFi and bed linen. 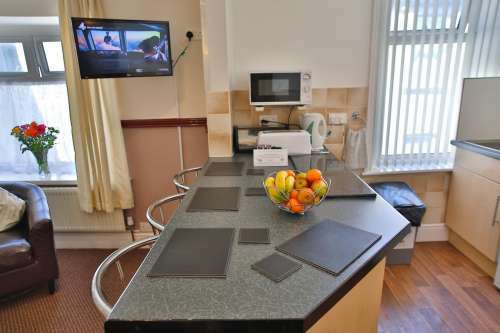 The kitchens are fully equipped with a microwave, toaster, kettle, oven, fridge/freezer and all cooking utensils and crockery. Nine of our apartments have their own bathrooms accessed from within the apartments with the exception of apartment 7. Lancashire provides a great blend of countryside, heritage and towns. There is something for everyone including visiting the Yorkshire Dales, Lancaster Castle, Morecambe Bay and Williamson Park.